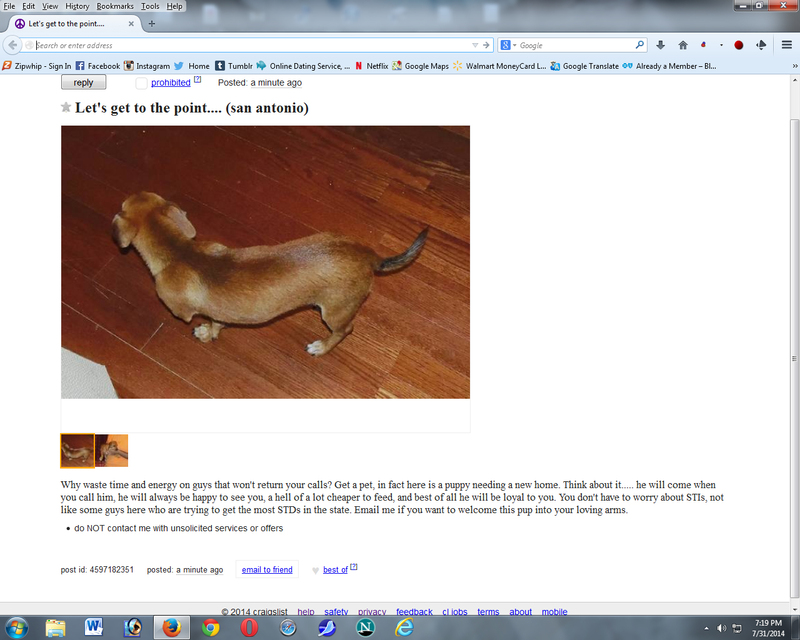 Craigslist -- The septic tank of the internet (outside of World of Warcraft). You haven't been in a Trade channel in World of Warcraft... It definitely rivals 4Chan's "other" section. LOL Trust me.. You'll be reaching for the bottle of Mind Bleach within the first hour. Horde general chat on some servers makes trade chat and 4chan look normal. Wow I been missing out. Not really. I gave always turned off all chat because it is so horrible. Some of it is down right degrading. I don't envy anyone doing CS. Oh I miss working for Nextel.... memories under the moonlight. .. I've also worked late night CS, that's proved to be...well. Interesting? Yeah, the overnight hours seem to bring its own unique crowd to the internets. Thankfully I don't stay up that late much anymore, so my world is at least somewhat sane.. Of course, if you want to know what a lot of those people are thinking, predictive text on Google search can make an ordinary search go to Hades in a handbasket. Alliance chat isn't any better... You can tell it's summertime just by watching it.